Calaméo - Are Open Source Crm Systems Worth It? Are Open Source Crm Systems Worth It? 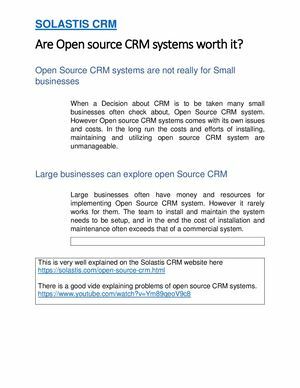 Small businesses often try to explore Open source CRM software, however the cost on installing maintening the open source software often exceeds that of commercial offering.